Learn the art of make-up to offer your clients professional make-up services. ITA funding can be used for our Make-up courses! 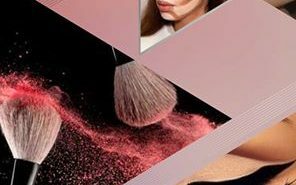 This Beginner’s Make-up course encompasses essential techniques required to offer professional Day & Special Occasion Make-up. Our bridal make-up course will expand your basic make-up skills to the next level to enable you to offer a professional wedding make-up service. You will learn how to contour using shading and highlighting to shape and flatter your client’s best features.